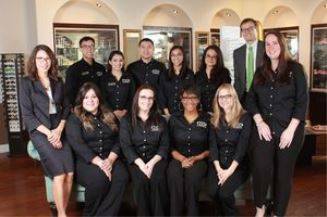 Our Cypress Eye Doctors and Staff are trained professionals - ready to help with your Eyecare and Eyewear needs. 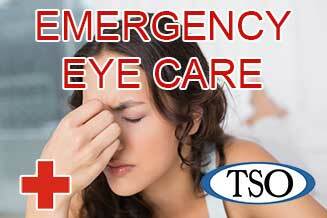 Please walk-in to TSO Cypress with red eyes, pink eye, or scratched eyes for immediate attention in Cypress, TX. Welcome to Texas State Optical, your Cypress optometrists. Our Cypress eye doctors provide comprehensive eye care services in the form of eye exams and treatments for individuals with vision needs in Cypress, Fairfield, and Hempstead. Seeing clearly is our goal in providing our Cypress optometry services, however it is important to remember to take care of your eyes by taking routine eye exams at an optometrist office even if your vision is good. Bobby was super helpful and made the process of picking out a new pair of glasses quick and easy! Great Dr’s and awesome service, thank you for fitting us in at the last minute! Bobby was so helpful and patient with my daughter. Bobby was the most patient, helpful and enlighten technical person that I have had the pleasure of working with in regards to my eye ware. Such a gentleman with compassion for people in their senior years. He has 10+ stars from me. 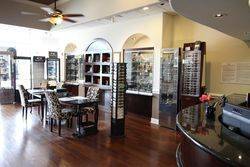 Thanks for having him as your connection to your public, as it makes coming in for eye care & frames a pleasure. Happy Holidays to your entire doctors and staff. The entire team was respectful and took every opportunity to fill my needs while saving me money! 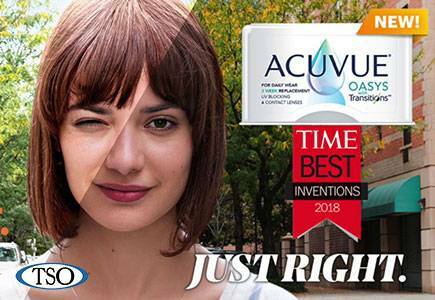 The Cypress eye doctors at Texas State Optical believe in looking at the big picture when it comes to your eye health, so we take the time to get to know you, your eye care history and your vision needs. Dr. Ly Nguyen knows that getting the right prescription involves balancing several factors, including clear eyesight, visual efficiency, and your ability to process visual information seamlessly. 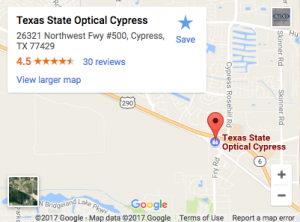 With our Cypress eye care center is conveniently located on the Houston bound side of Highway 290 at Fry Rd (Cypress Rosehill), TSO Cypress (Texas State Optical) serves the Cypress, Hempstead, and Fairfield areas in Texas. If you live in the 77433 or 77095 ZIP areas, we’re located conveniently for you as well. 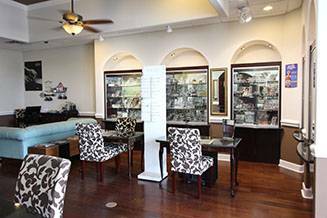 Schedule an appointment with our optometrists to see how we can help you get the best Cypress eye care and eyewear for your eyes!